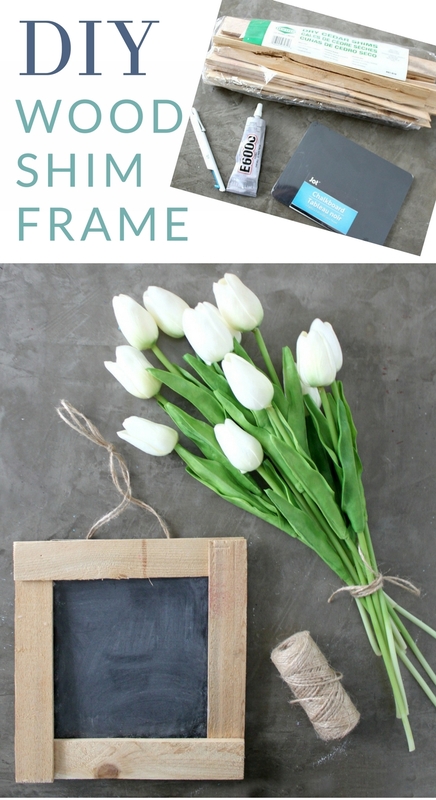 Whip up this DIY rustic chalkboard frame, using simple wood shims and a bit of glue! 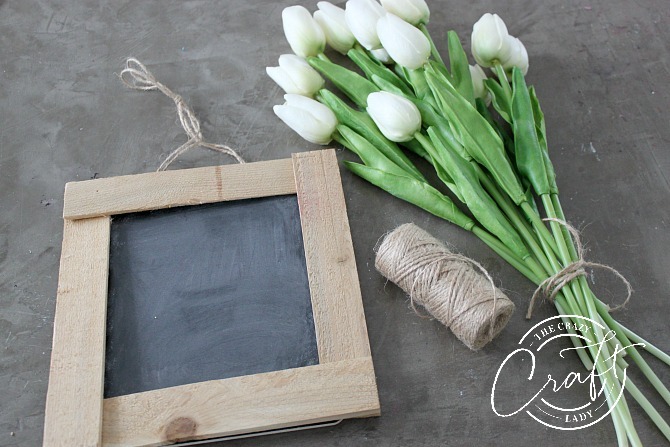 Make this DIY rustic chalkboard, and a simple wooden frame made from wood shims. 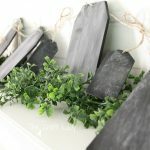 This little chalkboard sign is perfect for switching up your seasonal decor. 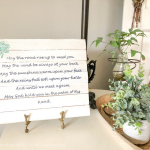 Crafting with wood shims: Have you ever crafted with wood shims before? 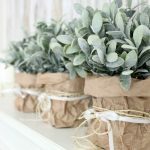 They are one of my absolute favorite versatile and inexpensive craft supplies. 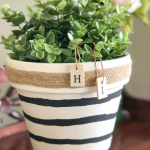 The wood is thin enough to be cut with an x-acto knife, making it super easy to add the wood look to your craft projects without having to use power tools. 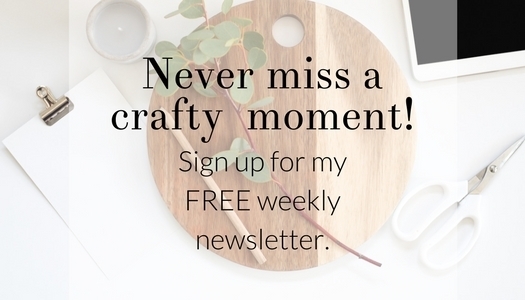 Related: If you’re ready to get started crafting with wood shims, I’ve got two projects for you. 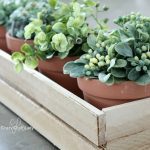 With this simple supply, you can make a wood planter box for your herbs and small plants or even a fun sunburst style wreath. 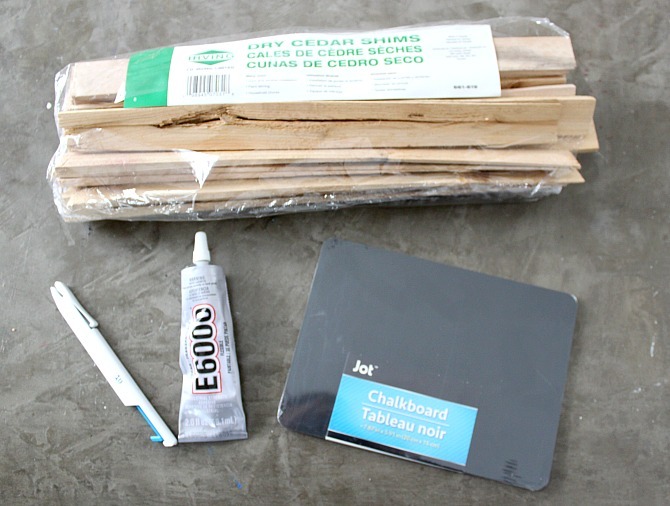 On a recent rip to the dollar store, I spotted small chalkboards just waiting to be crafted with. 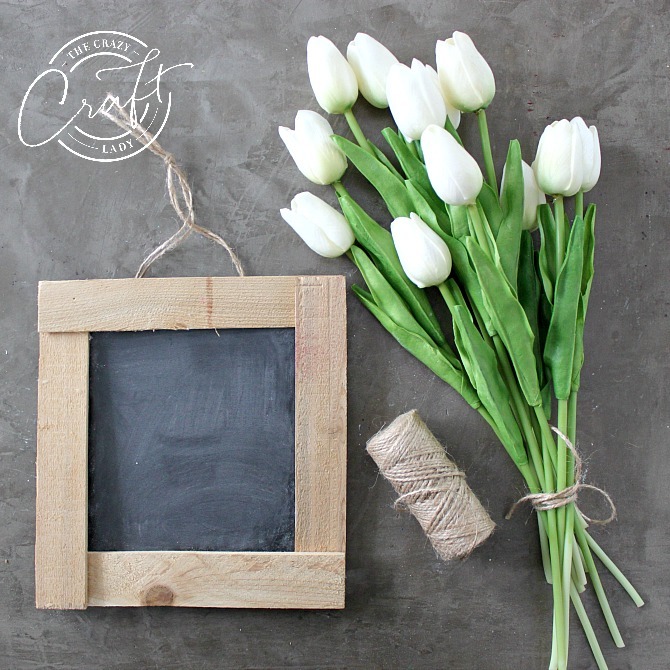 Since I’ve been on a bit of a wood shim spree lately, I decided to make a simple DIY rustic chalkboard frame. 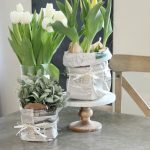 Crafting Alternative: If you want to make this into a picture frame instead, you could also use a photo on cardboard or even a small canvas. 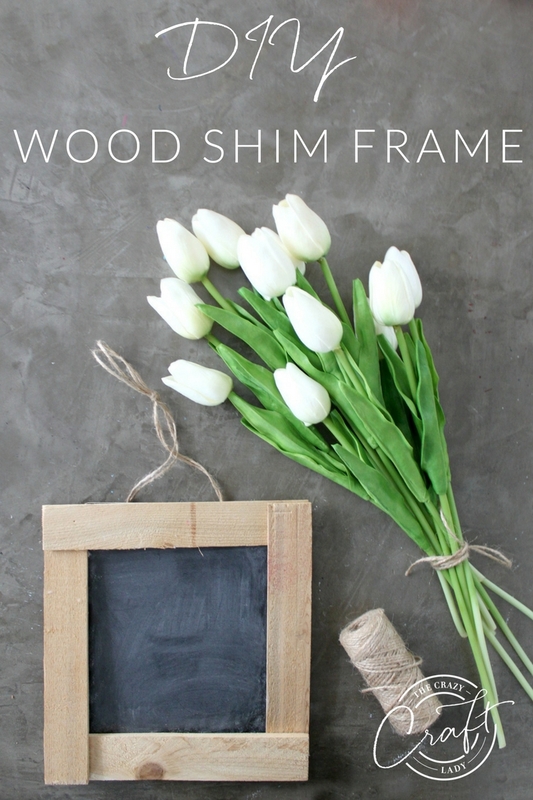 Wood shims are so inexpensive, you could create a whole little gallery wall filled with family photos for under $10. x-acto knife – I love using these craft knives. 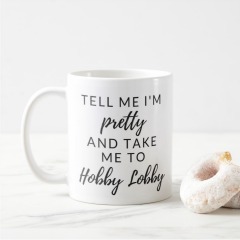 They’re perfect for small jobs as well as fine details. First, measure your small chalkboard to determine what size frame you need. Then cut the wood shims down to size to match the dimensions of the frame. Bear in mind that two sides of the frame will need to measure about 2 inches longer than the chalkboard. This will allow for overlap of the wood shim pieces. 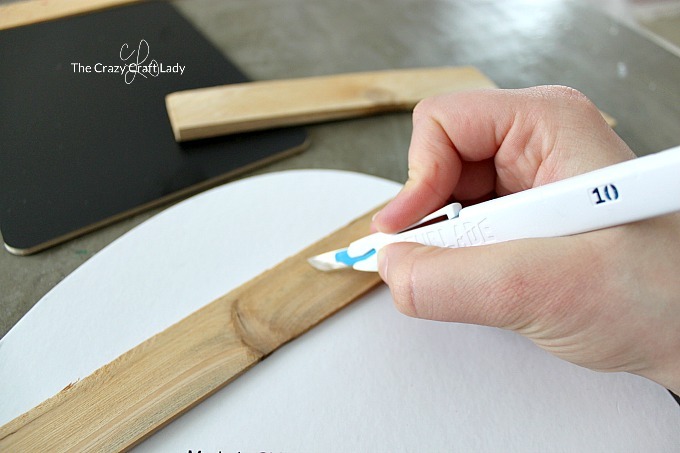 How to easily cut wood shims: Use your craft knife to score each side of the wood shim 5-6 times. Once scored, the wood shim should easily snap in half. If the wood shim doesn’t snap in half easily, score each side a few more times and try again. 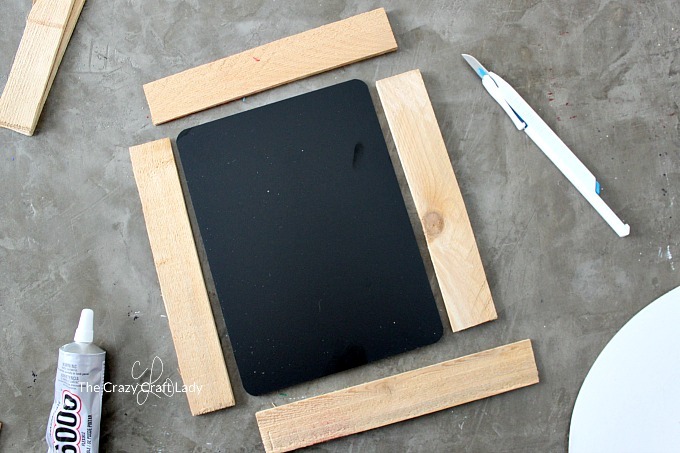 Lay out the wood shim pieces in the shape of your frame. Then secure the four corners and the chalkboard with E6ooo glue. Let the glue dry for 24 hours. Flip the chalkboard over. Double-layer the twine, securing each end with a simple knot. 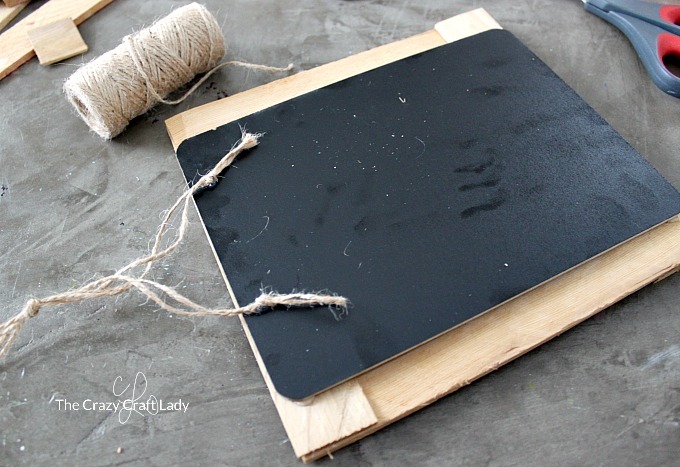 Glue each knotted end to the back of the chalkboard. Let the glue completely dry before hanging. 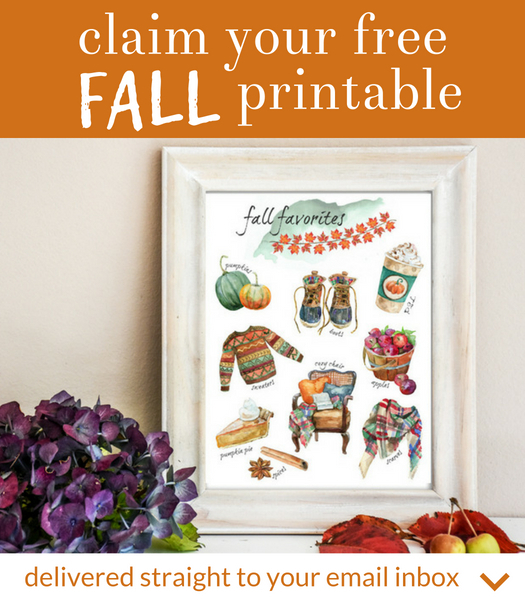 Decorate your new framed chalkboard with a seasonal picture or phrase. Hang, and enjoy! I really love the look of these unfinished wood shims, but you can also add stain or paint for a different look. The color and style possibilities are pretty much endless with this frame. 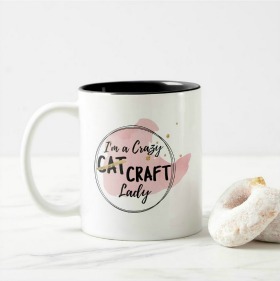 This post first appeared at Princess Pinky Girl where I’m a contributor.